Barry Oreck, a Brooklyn, NY singer songwriter has had a long career in music, dance, and performance art. Barry has played solo and with various bands and has written music and created sound and text scores for dance and theater pieces (nicollandoreck.com). Playing in and around New York City, he works with a strong cadre of seasoned musical collaborators. 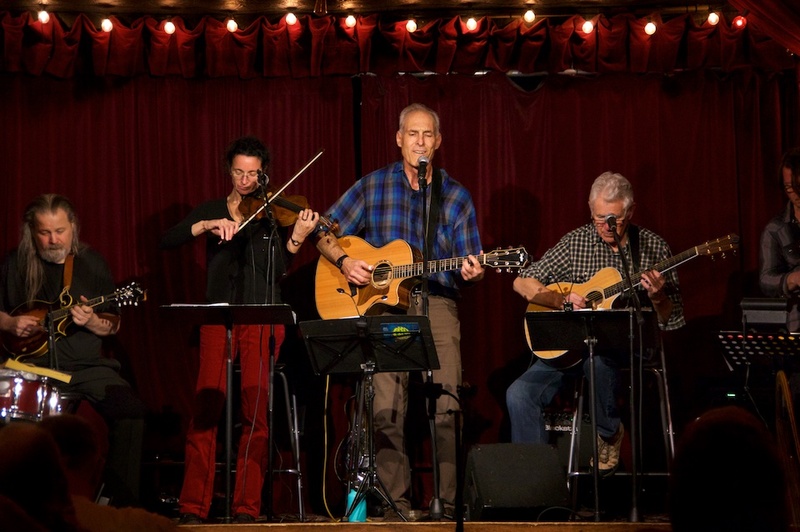 His band, Barry Oreck and Friends, features the core quartet of Barry (guitar and vocals) Jesse Miller (guitar and vocals), Adam Armstrong (bass) and Rima Fand (fiddle and vocals). Other frequent guests include Brooklyn standouts Kevin Garcia (percussion), Bob Telson (accordion) and Rob Meador (mandolin and vocals).